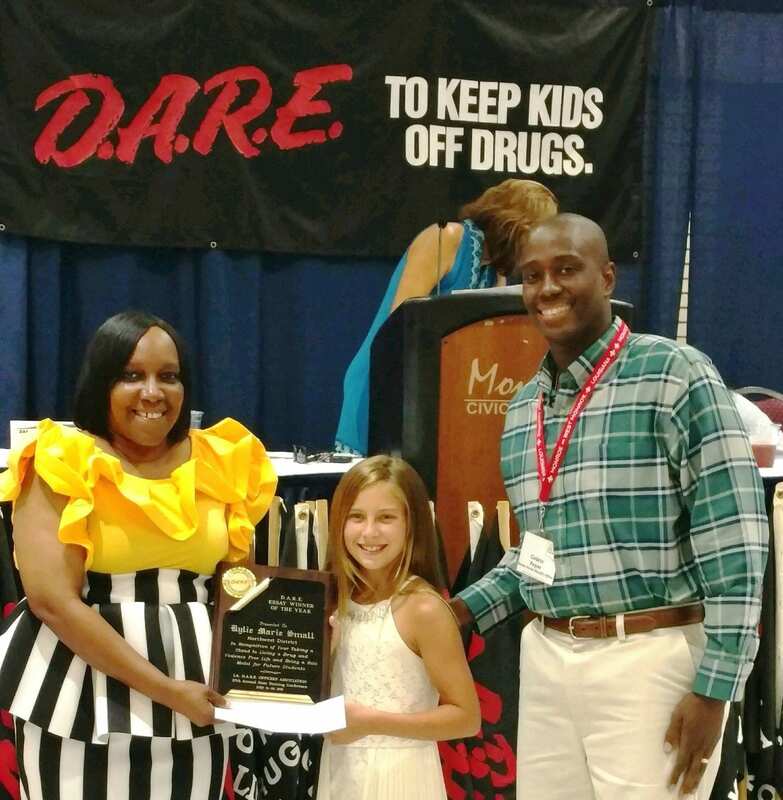 A Bossier Parish fifth grader received top honors for the Northwest District in the D.A.R.E. Essay contest during an annual training conference in Monroe that was attended by nearly two dozen Bossier Sheriff’s Office deputies. 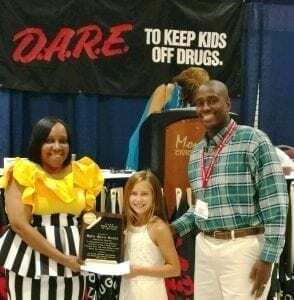 Kylie was presented the award during the week-long Louisiana D.A.R.E. 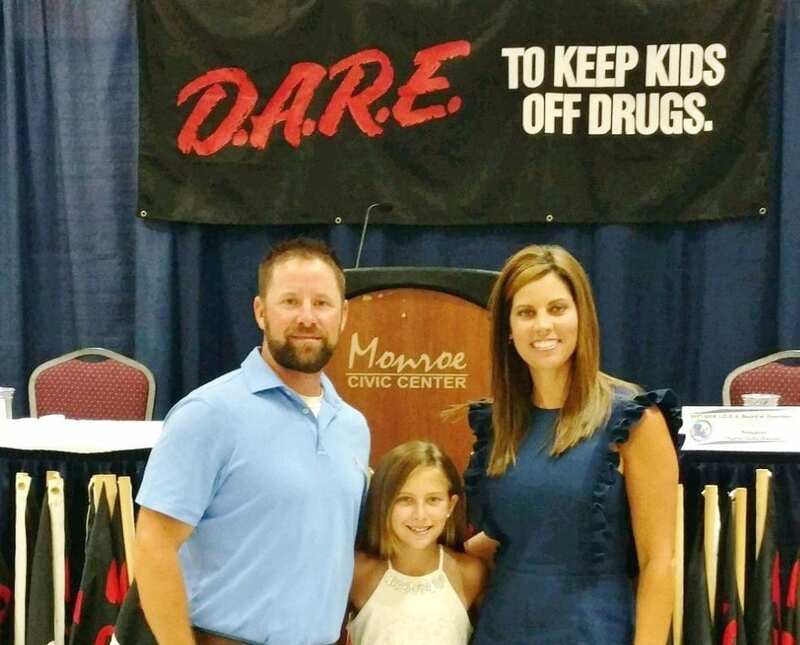 Officers’ Association 27th Annual State Training Conference this week where 22 Bossier deputies received Drug Abuse Resistance Education (D.A.R.E.) training. A student from each elementary school in Bossier Parish and all over Louisiana presented their essays at the conference. Kylie, 10, was the representative of about 300 other fifth graders at Princeton here in Bossier Parish. She is the daughter of Justin and Lindsay Small of Haughton. Dep. Payne is obviously quite proud of Kylie in her accomplishments at the D.A.R.E. training conference and at Princeton, where he strives daily to influence the children’s lives. Congrats Kylie. So proud of you. ? Kiley, you continue to do great things!! I am always sloop proud of you & love you very much. Thank you! I agree – so many amazing kiddos we get to see grow up! Lindsay McGee Small and Justin Small this girl can do it all! Are you sure she has to go to middle school? Lol, I wish I could keep her in elementary school forever!! Lindsay McGee Small, you sure have an amazing little girl!! !